Prem Home is located at a 30 min drive from Nizamuddin Railway station. Prem Home can be reached by a 40 min drive from Indira Gandhi International Airport. Famous tourist places like Qutub Minar and Tomb of Mohd Quli Khan is located within couple of kilometres from the hotel. 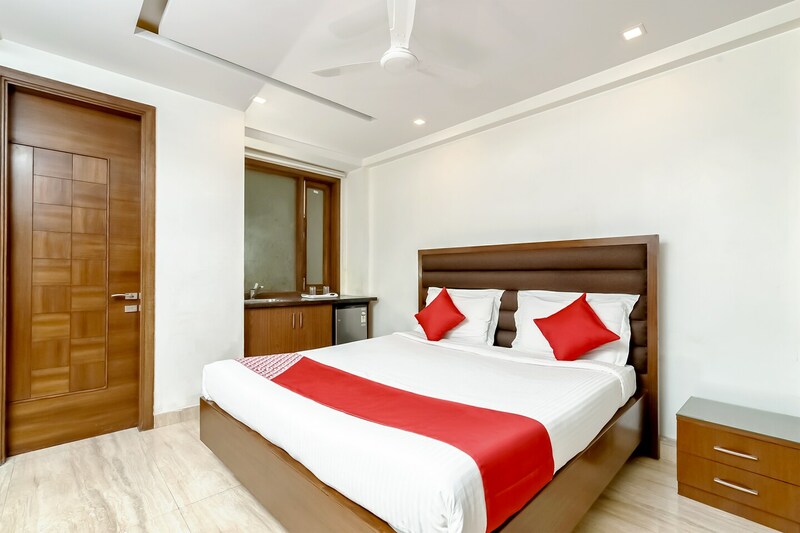 Apart from standard amenities like AC, TV and free Wi-Fi, the rooms also have a mini fridge and hair dryer for the comfort of their guests. The place also has a comfortable seating area, wardrobe and an attached bathroom with every room. There is the Hauz Khas forest which is a 15 min drive away. The famous Shani Dham temple is a short drive away.